We’re seeing a huge shift in marketing strategy toward holistic demand generation. More than ever before, marketing teams are being held responsible for generating revenue, and demand generation provides the framework to ensure marketing campaigns can deliver. You may be considering shifting your inbound marketing, content marketing, or digital marketing strategy to a demand generation model. With change comes uncertainty, but there’s a bright side: You already have most of the tools you need to make demand generation work. You only need to change your frame of mind related to marketing content, tactics, and analytics. 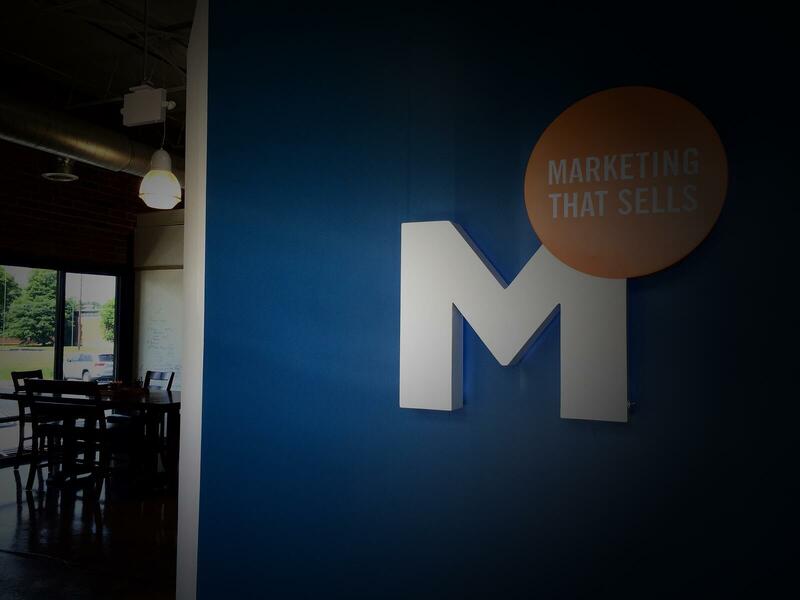 As others have talked about in this blog, demand generation is “the bridge between sales and marketing, ensuring that marketing campaigns are aligned with sales goals.” It is a framework that aligns sales and marketing goals with revenue. 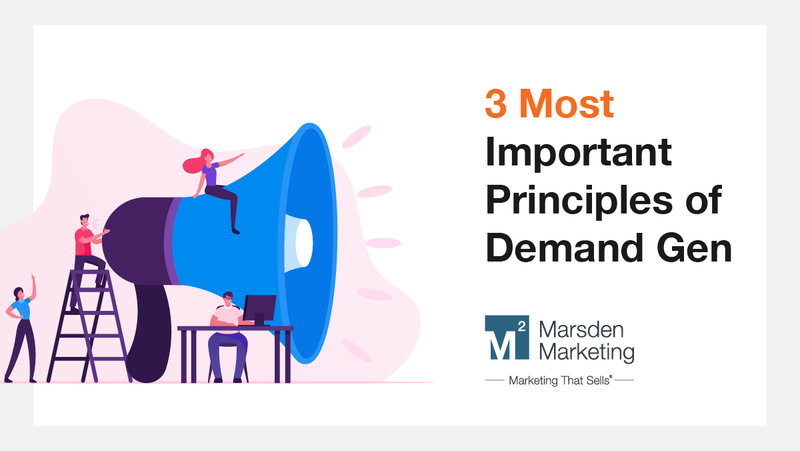 Before you can start planning demand generation marketing campaigns that drive revenue, it’s critical to put a defined marketing and sales revenue funnel in place with agreed upon milestones. One example of this structure is the SiriusDecisions Demand Unit Waterfall. The Demand Unit Waterfall outlines seven stages of the buyer journey from start to close. Each stage incorporates measurable milestones for leads. Marketing and sales leaders should be able to define what signals a buyer, or a buying group, is moving through the funnel. For example, viewing videos or downloading whitepapers shows a buyer is engaged. Firmographic data indicates the lead should be prioritized. A qualification methodology, like BANT or CHAMP, determines whether a lead needs further nurturing or is ready to enter the sales pipeline. This process is like a typical lead scoring process, but requires focusing on what helps drive revenue. Every marketing activity should contribute to a lead score and should contribute more to the score if it is a strong indicator of purchase intent. Work with sales to figure out what marketing activities are the best indicators and build out a scoring framework that can be implemented with your marketing automation tool. If you’ve heard of inbound marketing, this probably sounds familiar. A buyer persona is a fictional representation of your ideal customer (more from HubSpot on personas here). Personas define some basic information like typical job titles, age ranges, and career history, as well as more nuanced info like pain points, common educational outlets, and role in the buying cycle. Buyer personas are critical for understanding what content your target market needs. What educational resources, purchasing information, and social proof do they value? With defined buyer personas, you are able to create content that is meaningful and useful for each persona at every stage of the buying process and distribute it in mediums the buyer uses. Review any buyer personas you’ve created in the past and ensure they are up-to-date. Do they provide insightful information on what pains your buyers encounter and how they seek out solutions? If not, get started on revising your buyer personas. Now we get into the good stuff. Once you have a defined funnel and defined buyer personas, you can start to put a plan in place to give buyers what they need to move through the funnel. If you run nurture email campaigns, manage social promotions, advertise on search engines, or conduct other marketing campaigns, audit them. What was the goal? Did you define a revenue related metric? Did the campaign meet the goal? Auditing your current efforts will show you campaigns that are already helping a particular buyer persona in a defined funnel stage. These campaigns will only need adjustments. An audit will also show which campaigns are not effective. Determine if there’s anything you can learn from these campaigns and pause them. For example, setting a goal to generate 10 new leads during a lead gen campaign is measurable, but is somewhat vague and is not oriented towards revenue. This goal should be amended to generating 10 new leads for a specific service that enter the sales pipeline. All the content you create (or repurpose) for new campaigns should keep in mind a specific buyer persona at a specific stage in the buying process. Once you know who you are creating content for and for what purpose, you can choose the format (webinar, video, interactive infographic, whitepaper) that will resonate best. This process also helps identify what channels or tactics are best to promote the content (search advertising, social media promotion, influencer marketing). In our lead gen example above, say we are attempting to generate pipeline for financial consulting services. This campaign would focus on an imaginary CFO (also called a buyer persona) who is facing the challenge of complying with new revenue recognition standards. We would then plan different content that helps the CFO learn more about the new standards’ effects on her company, how a consulting firm could help in the decision-making process, and how our specific services are right for her. A major benefit of planning campaigns from a demand generation perspective is that they have longevity. Because your content, tactics, and messages are aligned with the buying process and needs of buyer personas, they last longer than campaigns focused on fads. However, regular monitoring allows you to create adjustments along the way that continuously improve performance. Before beginning implementation of a new campaign, create a schedule for regular review that measures metrics related to your goal – and actually review. For your existing campaigns, determine if they have these three components. You’ll find quality aspects of some campaigns that can be tweaked, and you’ll find aspects that can be stopped. Document the new or updated goals for each campaign, conduct an audit of each piece of content and determine if it fits a core buyer persona at a particular buying stage, and schedule optimization checkpoints for the updated campaigns. Shifting your current marketing strategy and tactics to a demand generation program requires thoughtful and sometimes time-consuming work. But by focusing on activities that help buyers move through the buying process and close, you make your marketing more relevant and important to the business. As you prepare to deploy demand gen, focus on defining your funnel and milestones, developing buyer personas, auditing existing campaigns, and deploying new campaigns geared towards driving revenue.